Hurry! 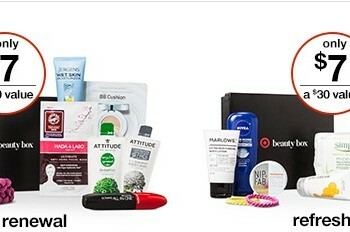 Target Beauty Boxes are back and they always sell out fast. You can get the Refresh or Renewal box for just $7 each shipped. Both are valued at $30. Check them out here.